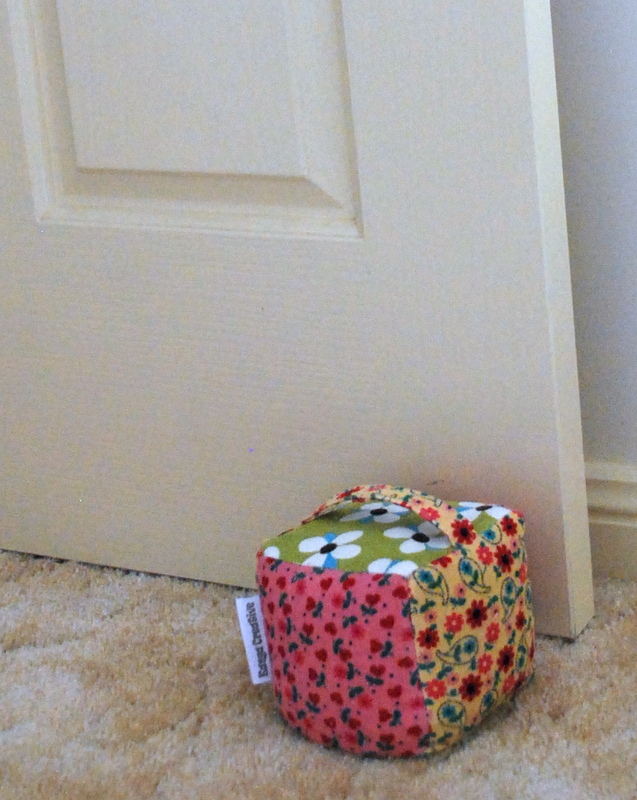 I have had a fantastic suggestion this week of making something like my rattle blocks, but as a door stop! 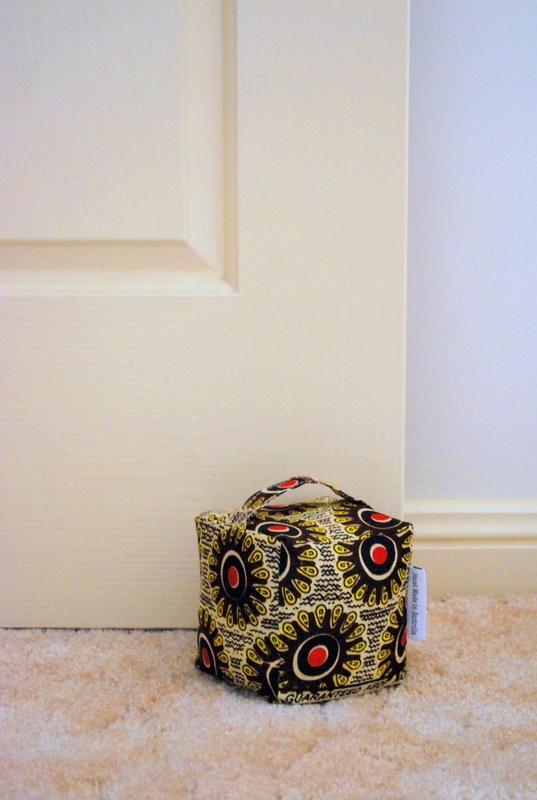 I think it’s a great idea, and something I will definitely make for myself, so this afternoon I designed a small, cute fabric door stop with a carry handle. I think I will make more of these to list on my madeit.com.au store, and will use the suggestion of selling them empty with an opening underneath to be filled when purchased, to save postage costs for the customer. They would cost a bomb to post filled! 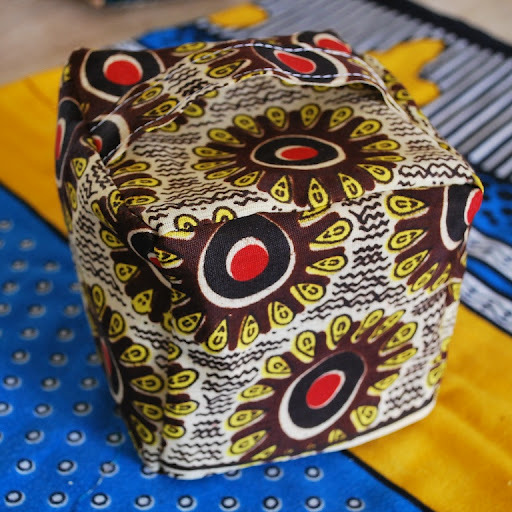 The first one I made out of African kitenge to go with my crazy mismatched living room. 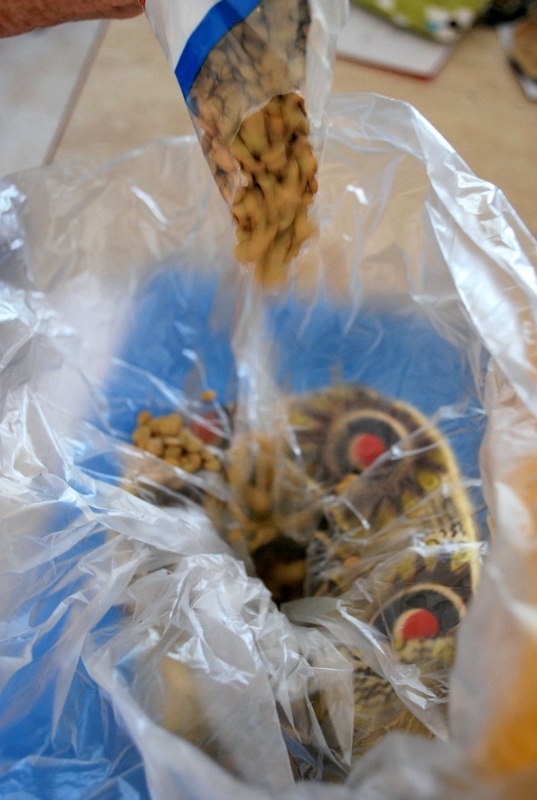 First I put a plastic bag inside the opening at the bottom, just the type of small bag you get from the fruit & veg. 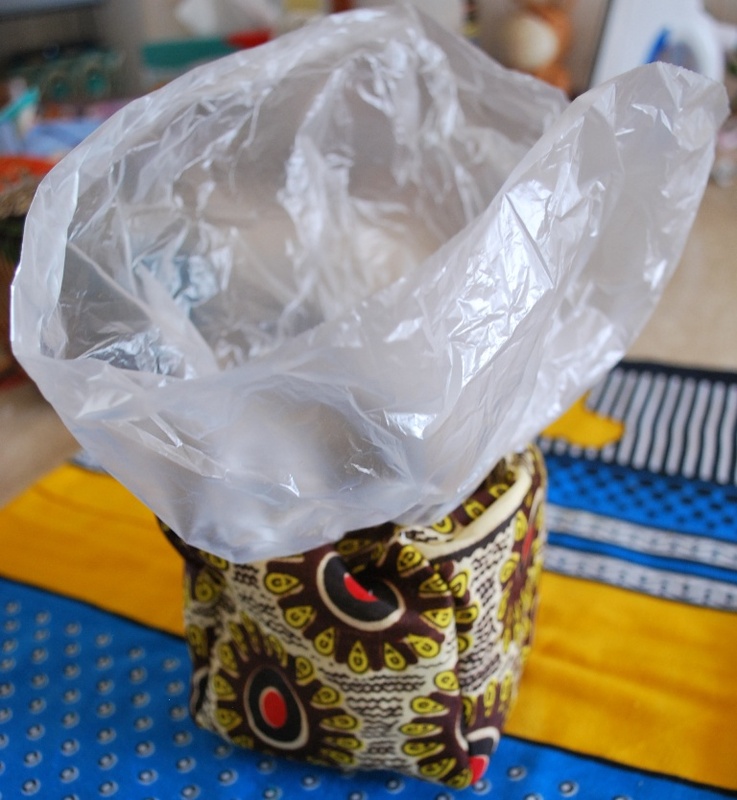 I then filled it with lentils (only thing I had suitable in the pantry) but you could use rice, wheat, sand, small pebbles, anything really. 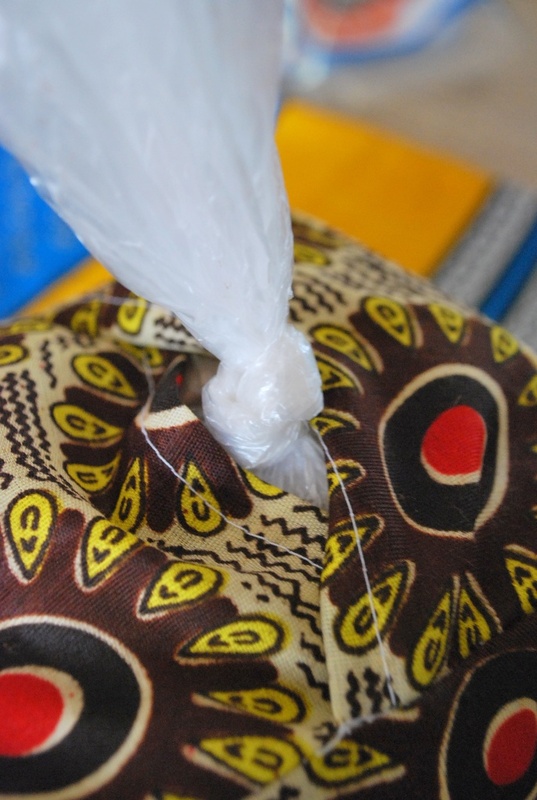 After I poured in the lentils, I tied the bag up and pushed the ends inside, sealed up the opening (I will attach snaps to do this neatly), and voila! A unique door stop. The second one I made from scrap corduroy fabrics, I was happy with the first design so I made it exactly the same. I am thinking of making a triangular shape, maybe..